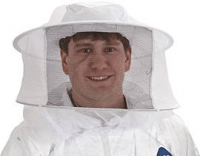 The beekeeping jacket is very durable and we use this in our own operations. 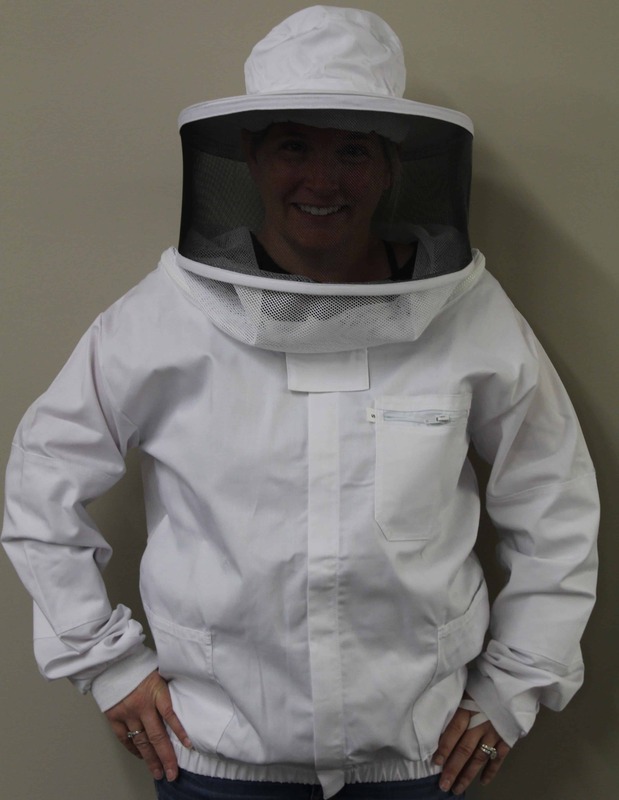 Beekeeping Jacket has (2) waist pockets with a Velcro closure on each pocket. (1) chest pocket with a zipper. Reinforced sleeves at the elbow. 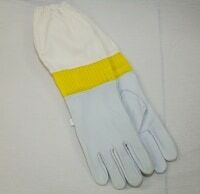 A durable cotton elastic cuff. 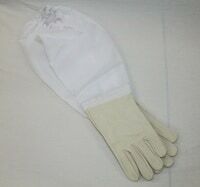 The sleeve also has an elastic finger loop, to assist you, in not having your sleeve crawl up your arm while you are putting on your gloves. The jacket has a heavy duty front zipper. Extra sturdy elastic waist line for added protection. The hat/veil combo is a zip on, to the jacket. The veil offers a 360 degree viewing and allows maximum ventilation. The hat can be adjusted to all sizes heads. 65% Polyester, 35% Cotton. Made in the USA. You will want the Jacket to be loose and not tight. Sizing should be at least one size larger than the clothes you wear.